Ensuring your land clearing, site preparation, excavation, grading or paving project in Central Florida stays on schedule is important. 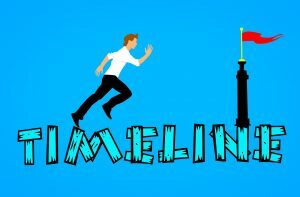 Meeting deadlines can be challenging, just a small delay and cause the timeline to be thrown off course. The timeline keeps the construction project on schedule, from planning, preparing the land, and design and building phase. It can also, affect the budget. Every detail of the construction process requires sufficient time, so that it can be completed successfully and safely. Allocating an extra day for problems such as unexpected poor weather and unavailable resources, which can easily hinder a schedule. These issues can be quickly resolved with a contingency plan. Finding the right team of professionals is crucial. This couldn’t be more accurate when it comes to site preparation. Land clearing, grading, excavation, stormwater and utility installation system, and paving, must be done efficiently and with great attention to detail, to ensure a successful project. Hiring a reputable company is vital. A good foundation for any construction project is clear communication. Miscommunication inevitably leads to unnecessary delays and costly mistakes. Clearly outlined roles and expectation will prevent derailment. There are many steps when it comes to preparing a site for construction, depending on the location, size and scope of the project. This process involves clearing the land of vegetation and following any environmental regulations. Excavation of rocks and soil, to clear the site. Establishing a storm water channel and drainage system. Installing a utility system and paving. Each of these steps requires specific equipment to ensure the job gets done right. Swell Construction Group is Central Florida’s leading ‘one stop shop’ for all your construction site prep work. Since we own all of our equipment (over 130 pieces of heavy equipment), we ensure each one is properly maintained, which means you can depend on us for efficient and prompt excavation work.